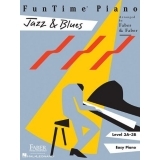 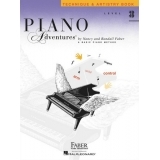 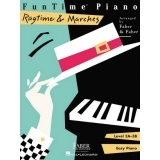 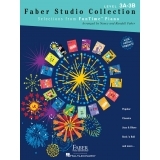 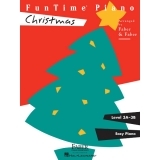 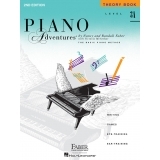 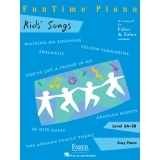 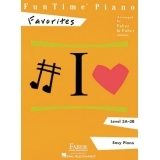 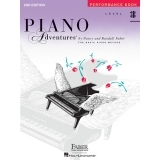 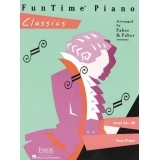 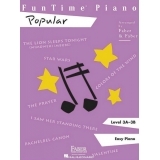 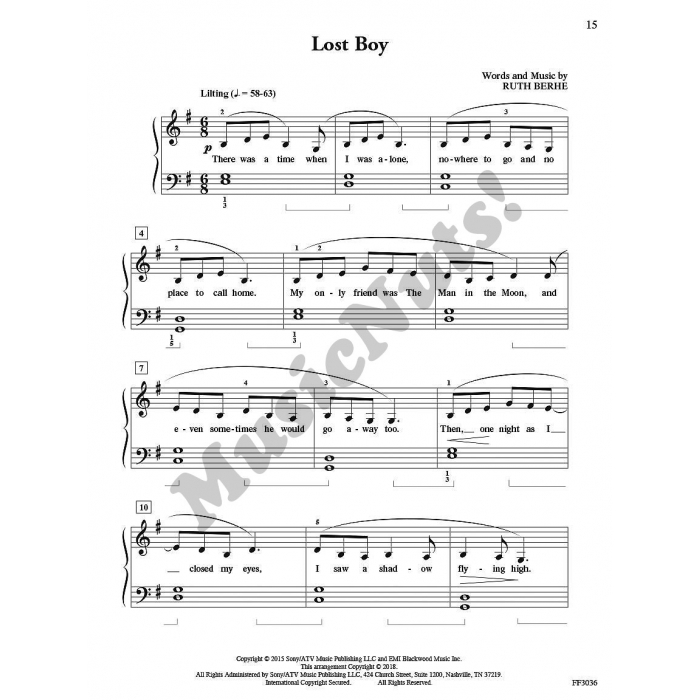 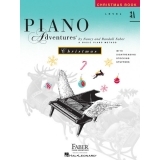 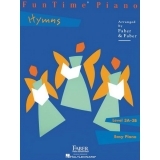 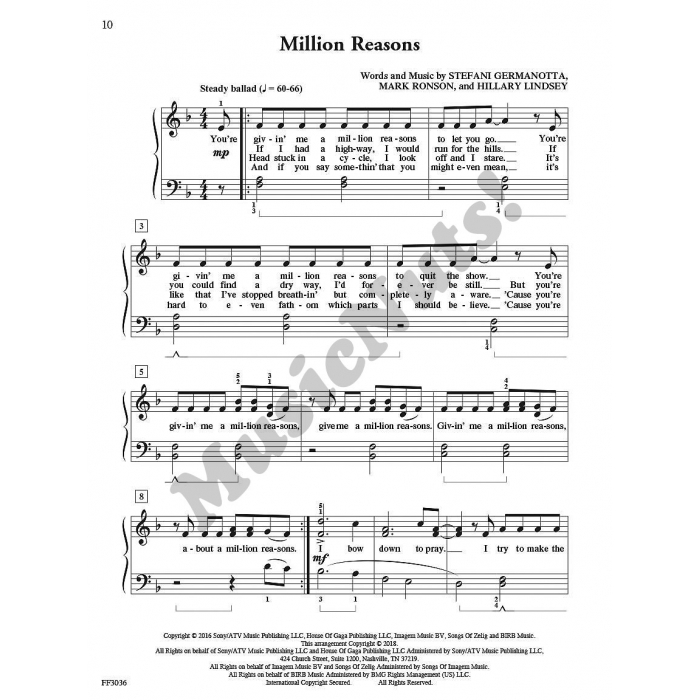 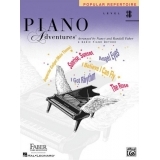 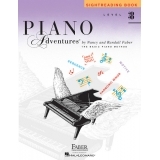 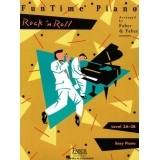 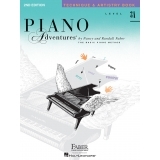 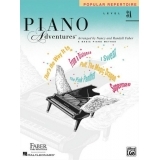 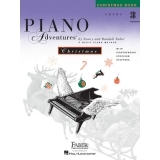 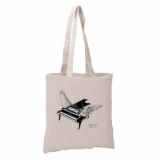 Authors: Nancy Faber and Randall Faber ► This striking collection of 11 popular songs is arranged to motivate the Level 3 piano student. 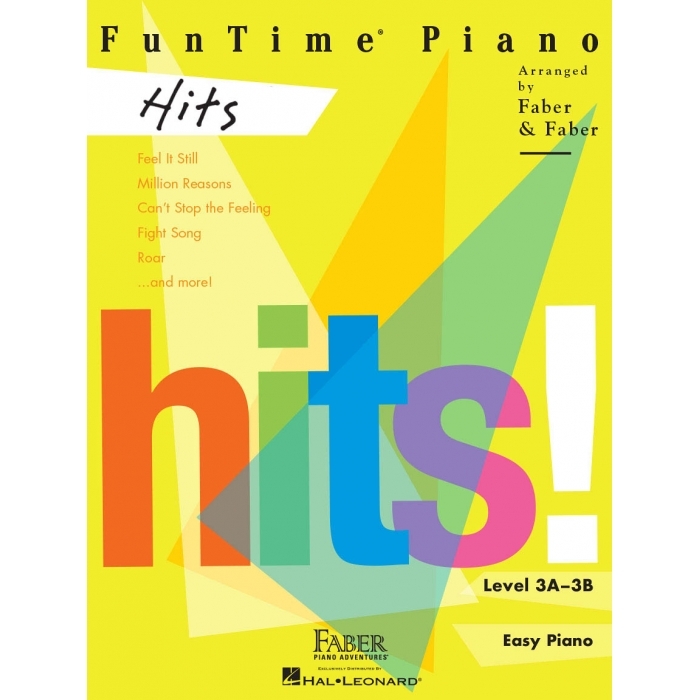 Enjoy blockbusters, chart-toppers, and award-winners as performed by stars such as Ed Sheeran, Lady Gaga, Justin Timberlake and more. 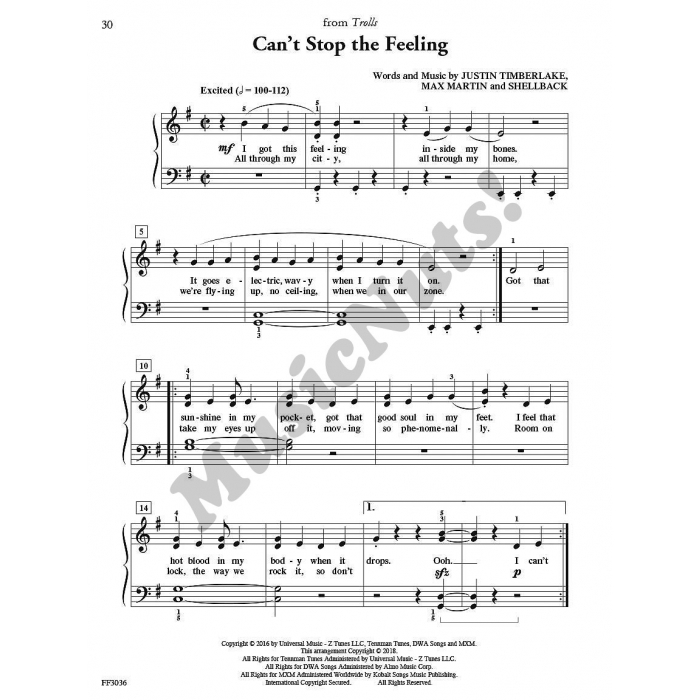 Songs include: Can't Stop the Feeling (Justin Timberlake) • Feel It Still (Portugal. 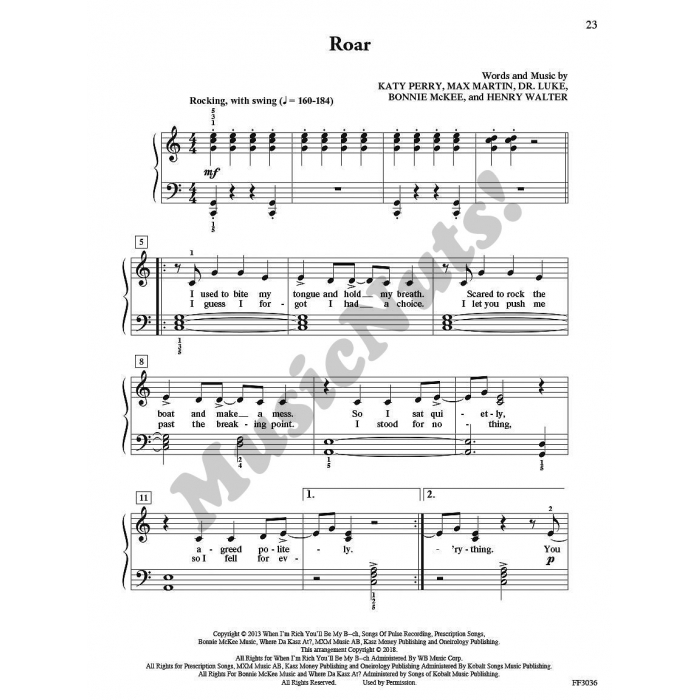 The Man) • Fight Song (Rachel Platten) • Lost Boy (Ruth B) • Love Yourself (Justin Bieber) • Million Reasons (Lady Gaga) • Photograph (Ed Sheeran) • Radioactive (Imagine Dragons) • Roar (Katy Perry) • A Thousand Years (Christina Perri) • Treat You Better (Shawn Mendes).